Founded in 1992, Behaviour Interactive is Canada’s largest independent game developer, employing talented people in Montreal (Quebec) and Santiago (Chile). The studio’s objective is to deliver high-quality and commercially successful games, while staying on the cutting-edge of the industry trends in both the retail and the digital markets, and exploring fresh ideas and connected experiences to keep players entertained. Eternal Crusade Tank Battle on Twitch! No Comments on Eternal Crusade Tank Battle on Twitch! Eternal Crusade Livestream Aug 1st! 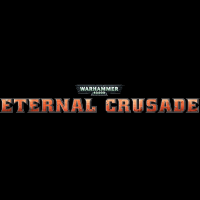 No Comments on Eternal Crusade Livestream Aug 1st!